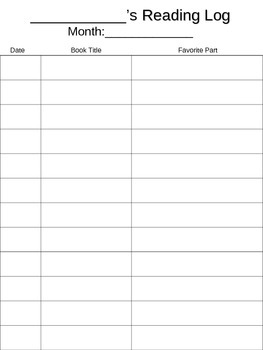 Print this Monthly Reading Log on both sides of one page to maximze paper! There are twelve rows for students, or parents, to record the date, book title, and their favorite part of the story they read. Check out the Accelerated Reader Set I use this sheet with!